Home / Le blog / Go to the market, what a good idea ! Go to the market, what a good idea ! On every Thursday when I arrive at the office, that teems on the side of Halles of Niort. For a very good reason, it is in the daytime of big market (also on Saturday and Sundays) ! 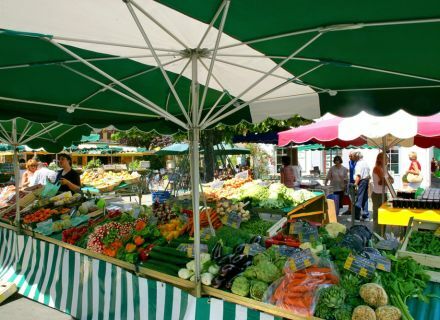 Besides the traditional stalls situated inside Halles, numerous producers take place on the outside square as well as on the passageway. The mixture of the smells and the colors does not leave unmoved. Paths are full of niortais, not - niortais, vacationers… all morning long. Salads, tomatoes, melons, zucchinis, traditional white beans, goat cheeses, peaches, plums… See all these stalls filled with good fruits, with beautiful vegetables, with tasty cheeses that makes me salivate ! No need to fetch very far to find good regional products, and seasonal ! 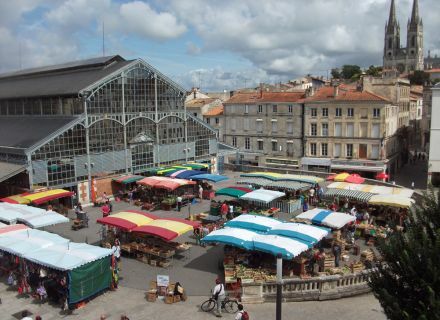 Moreover, there is not only in Niort where it is possible to go to the market. 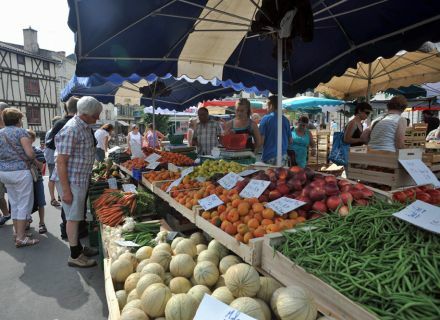 The municipalities of the Conurbation of Niort and the “Marais poitevin” are not outdone to propose you markets farmers, traditional markets, former markets, market on the water... The producers often move on several markets. You can find for example Jean-François Coursaud's traditional white beans to Coulon on Sundays, besides Thursday, Saturday and Sunday in Niort. He is the only one to cultivate this haricot bean, typical of the “Marais poitevin”, on the edges of Sèvre to Coulon. This is only an example among so many others. Now, it’s you turn to come to stroll between stands, to inhale the aromas, to take advantage of the ambient good mood… This atmosphere of market which has nothing to do with that of the hypermarkets. 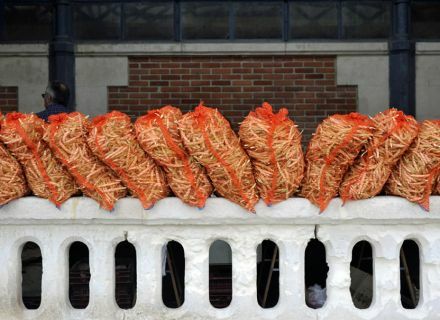 We feel more freedom, we discuss, we take time, we live what… Finally, go to the market, it would not be good for the health ?